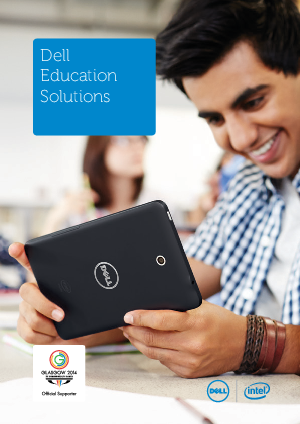 Now, as part of a continuing commitment to the education sector, the Dell education solutions guide provides an overview of Dell technology solutions developed specifically for the education environment. With a dedicated team of education specialists across the country, Dell solutions range from developing and providing innovative student engagement programmes to managing the transition to the digital learning environment. The guide sets out the capabilities of Dell solutions, the products, both hardware and software, and the services that deliver them. Complete with ‘how it works’ diagrams and solution benefits for students, parents, teaching staff and administrators, the guide is designed show how Dell solutions can enable better learning outcomes, provide easier information and technology management and produce the cost efficiencies that can drive innovation in learning.